Shanghai, China - July 24, 2014 - Altium Limited, a global leader in Smart System Design Automation, 3D PCB design (Altium Designer) and embedded software development (TASKING), has been named by EDN China as one of the “Top 10 Companies with Strongest Sustainable Development Capability.” This is the seventh consecutive year that Altium has won an EDN China Innovation Award, one of the most prestigious awards in the industry. 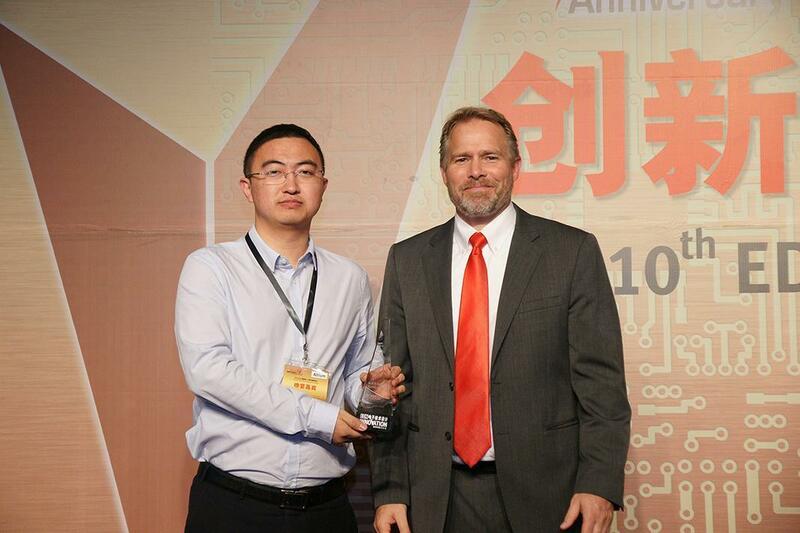 Altium received the honor in a ceremony marking the 10th anniversary of EDN China’s Innovation Award. The "Top 10 Companies with Strongest Sustainable Development Capability" award evaluates a company's capacity in R&D, marketing, technical support, market share and human resources to ensure that it indeed ranks top in the industry and has sustainable development capability. To celebrate its 10th anniversary this year, EDN China has introduced awards recognizing outstanding companies that received the most accolades over the past decade. To ensure professionalism, authoritativeness and objectivity, all awards were vetted through a six month evaluation process, consisting of entry materials’ filtering, online voting and expert evaluation. About 800,000 registered online users and readers voted.